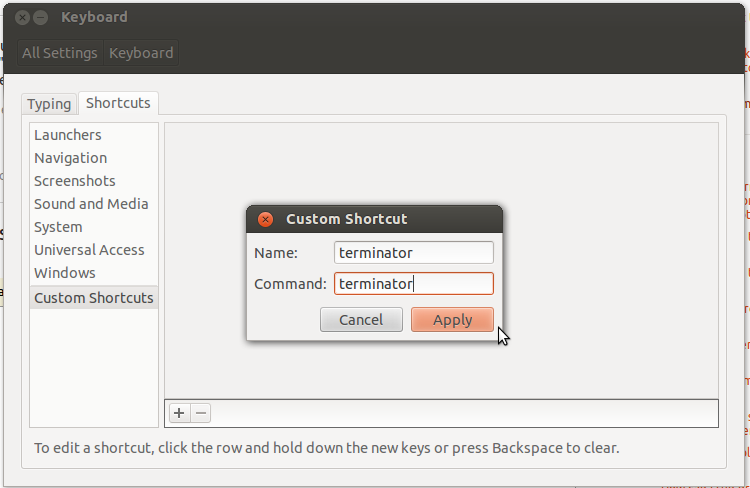 Split ubuntu terminal with Terminator | Hi, I'm Allex. save above script as terminator, also make sure in $PATH, such as ~/bin/terminator. * _Ctrl-Shift-E_: will split the view vertically. * _Ctrl-Shift-O_: will split the view horizontally. * _Ctrl-Shift-P_: will focus be active on the previous view. * _Ctrl-Shift-N_: will focus be active on the next view. * _Ctrl-Shift-W_: will close the view where the focus is on. * _Ctrl-Shift-Q_: will exit terminator. * _F11_: will make **terminator** go fullscreen. 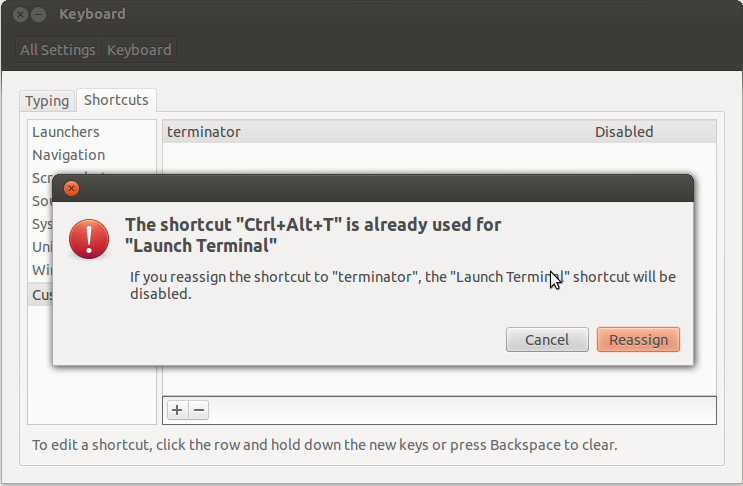 If you go to the Keyboard shortcuts, you will notice under the Launcher section that Ctrl+Alt+T is tied to the “Launch Terminal” action. You can create a Custom Shortcut to your preferred Terminal, and bind that shortcut to it instead. 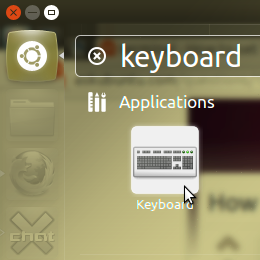 This entry was posted in linux and tagged ubuntu on Jun 9th, 2012 by Allex Wang.